I love Gerard Depardieu so much Who is one of famous French actors. 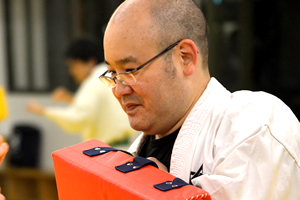 I'm Sensei Yamaguchi, the top instructor of Mugenryu-Karatedo. Karate always teaches me the meaning of life. When I was 25 years old, I suddenly had serious heart and brain diseases. After that, I had a really hard time to make a living for a couple of years. However, Karate rescued me from the hard time. 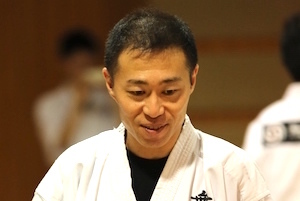 Now, I am age of fourties and still have been enjoying Karate more and more. Karate might be not the best martial arts, but it teaches you one of the way to live. As you know, my English skill is not good enough, but I don't hesitate to share my Karate skills to you. I hope you enjoy Mugen Karate in the near future. 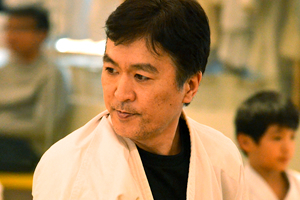 I'm looking forward to meeting you at Dojo.